Lamination in tablets during the compression is a major problem in tablet manufacturing. Some causes and solutions of the lamination of tablets are given here. An ideal tablet should be free from any visual defects as well as the functional defects. Despite the advancements and innovations in the manufacturing of tablets, the problems that are often encountered in the production have not decreased but instead increased. And this is mainly due to the complexities of tablet presses as well as the high demand of quality. Industrial pharmacists usually encounter a number of problems during the manufacturing process and the majority of the visual defects are usually due to inadequate fines and moisture in the granules that are ready for compression as well as the faulty in machines. On the other hand, functional defects are most often due to faulty in the formulation. Lamination is a major problem of all the defects in tablet manufacturing. It has been defined as the separation of the tablet into or more distinct horizontal layers anywhere other than the top part. Lamination has been shown to occur immediately after compression or upon storage periods. Lamination is not caused by a single fault in the manufacturing process but many. Therefore, in order to overcome this problem, every faulty is supposed to be handled individually. First, lamination is caused by air being trapped in the tablet especially among the granules or particles. This challenge can be overcome by doing a pre-compression as well as reducing the compression and minimizing the tableting rate. Lamination is also caused by the presence of a large amount of fines in the granulations. Removing some or all the fines through the 100 mesh screen will reduce the chances of lamination occurring by a higher percentage. Nevertheless, lamination is also caused by the availability of either too much moisture or too little leading to dryness thus making it hard for the tablet to undergo proper binding action. Therefore, this problem can only be solved by understanding the optimum moisture content and moisten the granules suitably. The moisture can be remedied to suit the process by adding hygroscopic substances such as sorbitol and methylcellulose accordingly. the amount of the binder if it is insufficient or add a dry binder such as pre-gelatinized starch and gum acacia as well as powdered sorbitol if the binder was found to be improper. 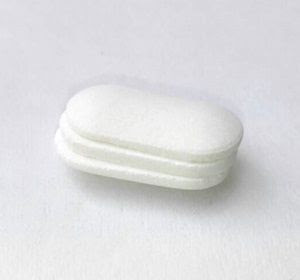 The insufficient or improper lubricant can also contribute to tablet lamination. Increasing the amount of the lubricant as well as changing the lubricant to the most suitable for the process will limit the occurrence of lamination. In addition, rapid decompression has also been found to cause lamination in tablets. It is therefore important to follow the pre-compression steps provided in order to reduce turret speed and the final compression pressure that ultimately reduces separation of the tablet into horizontal layers. Lastly, lamination can also be caused by the rapid relaxation of the peripheral regions of the tablet on ejection from a dye. The only remedy to this is using the tapered dyes, for instance, the upper part of the dye bore that has an outward taper of 30 to 50.